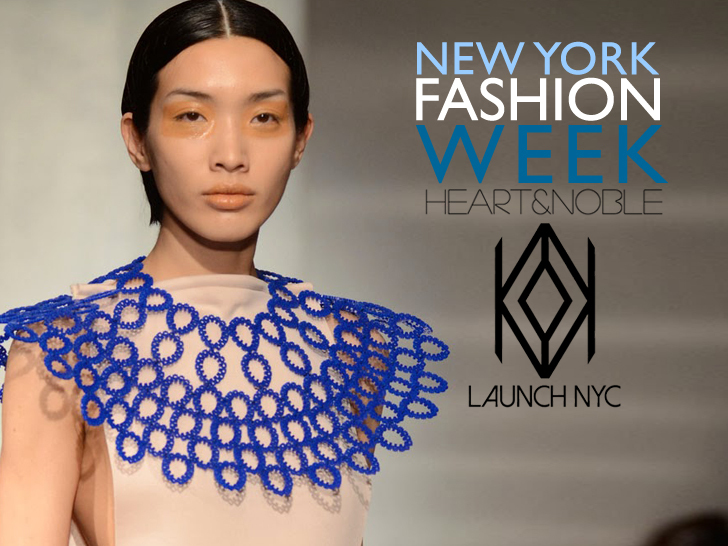 If cable ties strike you as unlikely fashion accessories, Heart & Noble is the jeweler to change your mind. Cristina Gabriele's London- and New York-based label, which showed at Launch NYC Fashion Week on Wednesday, reimagined the hardware-store staples by casting them in laser-cut acrylic, then using flexible thread to bind them in myriad configurations. Produced entirely in Manhattan's famed Garment District, the collection is just another way Gabriele finds beauty in the "seemingly mundane," she told Ecouterre. "It's a celebration of industrial design, and the minds behind these remarkable creations, giving air play to beautifully, cleverly engineered objects that make our world function a little bit better, appreciating the underappreciated," she added. Plastic not your jam? Heart & Noble also experiments with fine metals such as sterling silver and plated gold.